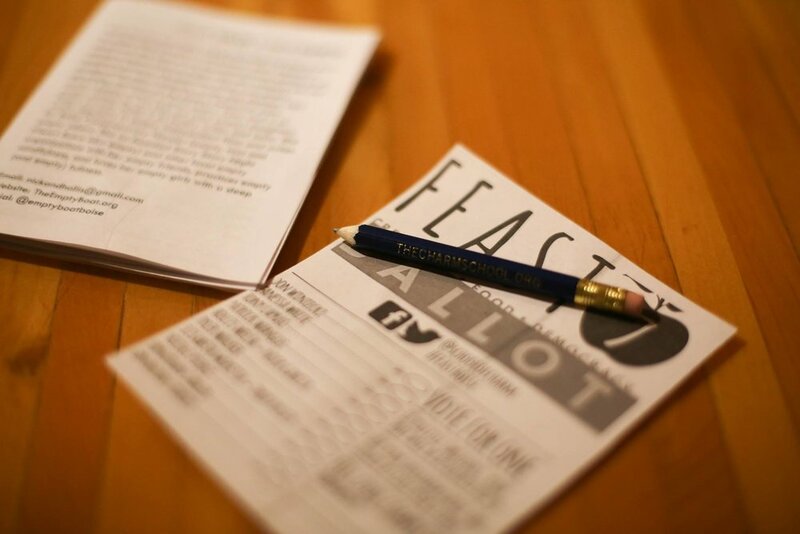 WE CREATED FEAST BECAUSE WE WANTED TO DO OUR PART TO KEEP BOISE MAGICAL. WE BELIEVE THAT IF YOU HELP TO FUND CREATIVITY, NOTHING BUT AWESOME CAN COME OF IT. 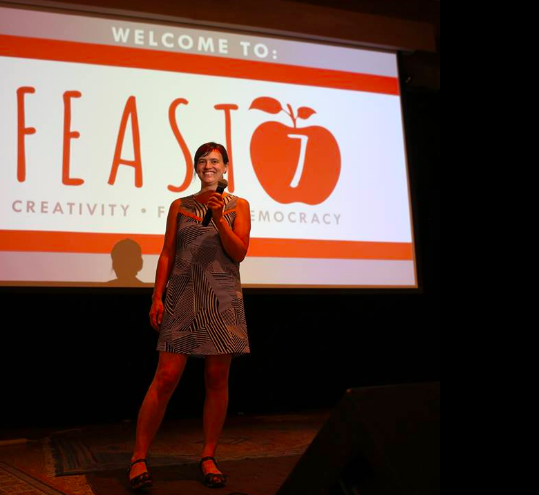 Feast Boise is a series of community dinners that bring together like-minded people to celebrate new ideas. 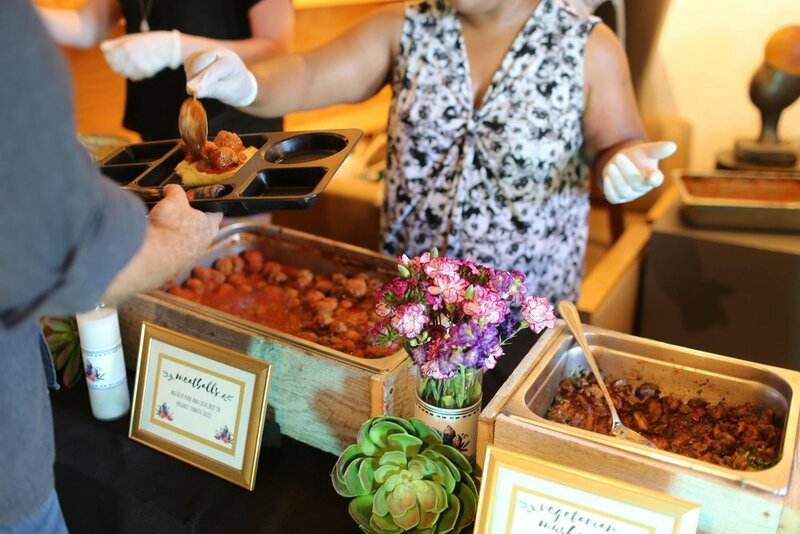 Prepared and served cafeteria-style by local chefs, the meal is just the beginning. During the course of the dinner, 10 pre selected presenters give short presentations about projects that they are passionate about, each asking for the audience's vote. 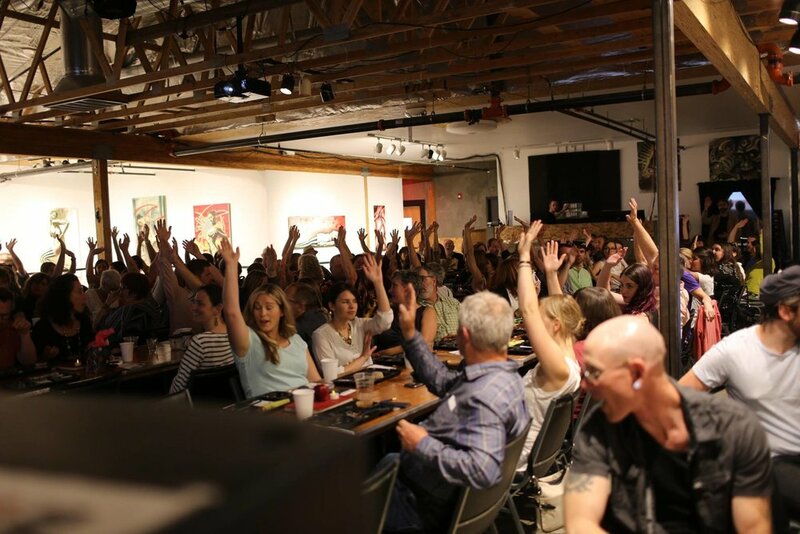 After all presentations are given, each in attendance casts a ballot, and the winner receives the proceeds from ticket sales. It's a micro-grant, it's crowd-funding, it's meal-sharing. It's a feast.